This article is brought to you by the “Ministry of the Blinding Obvious”. Sometimes science has a strange way of proving what every body else has known all along, so here it is : Apparently “Men and Women are different”. Not only that but their brains are wired differently!. Okay flippancy over there’s something interesting in this after all. 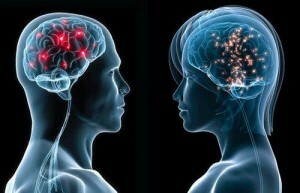 Because men and women’s brains are connected in different ways it may explain why the sexes excel at certain tasks. Researchers in the US scanned the brains of nearly 1,000 men, women, boys and girls and found some striking differences. 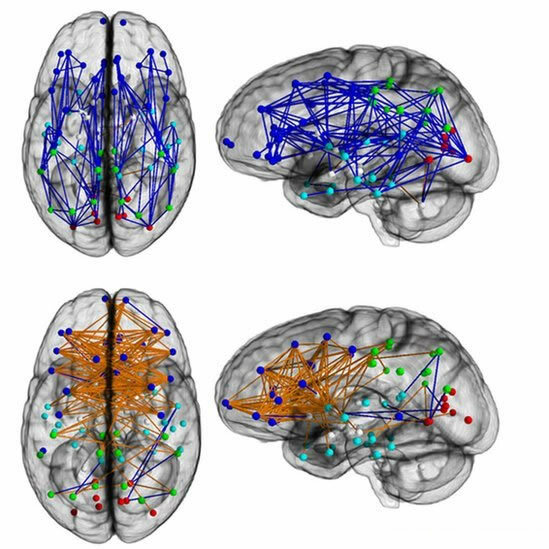 Male brains appeared to be wired front to back, with few connections bridging the two hemispheres. In contrast, in females, the pathways criss-crossed between left and right. These differences might explain why men, in general, tend to be better at learning and performing a single task, like cycling or navigating, whereas women are more equipped for multitasking, say the researchers. The same volunteers were asked to perform a series of cognitive tests, and the results appeared to support this notion. But experts have questioned whether it can be that simple, arguing it is a huge leap to extrapolate from anatomical differences to try to explain behavioural variation between the sexes. Also, brain connections are not set and can change throughout life. In the study, women scored well on attention, word and face memory, and social cognition, while men performed better on spatial processing and sensori-motor speed. The brain however is too complex an organ to be able to make broad generalisations. For example we know that there is no such thing as ‘hard wiring’ when it comes to brain connections. Connections can change throughout life, in response to experience and learning. We must therefore take great care in drawing conclusions as the precise relationships between how our brains are wired and our performance on particular tasks needs further investigation. We cannot say yet that one is causing the other. 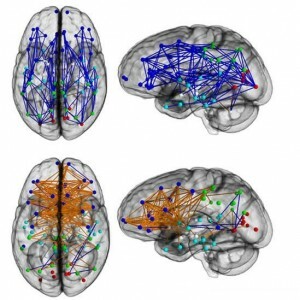 Furthermore, the measure used in the study, called “connectivity”, is only one aspect of how our brains our wired. There can also be differences in certain chemicals in the brain called neurotransmitters, for example, and so we need more research to fully understand how all these different aspects of brain structure and function work together to answer fundamental questions like “how do we think?”. One thing that remains unknown is what is driving these differences between the sexes. An obvious possibility is that that male hormones like testosterone and female hormones like oestrogren have different affects on the brain. So whilst it’s interesting to note that the brains are indeed wired differently it can’t be concluded (yet) that this is the sole reason for the 2 sexes different abilities and specialisations.